A new comfortable footwear option. 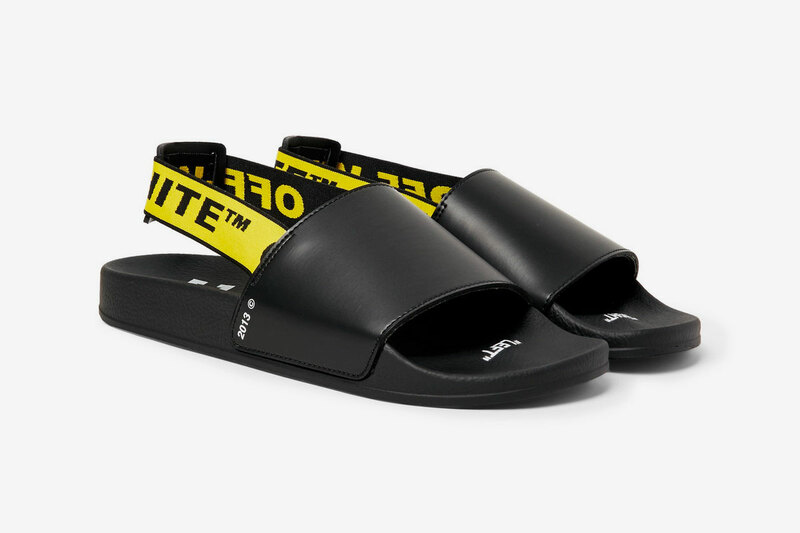 Building on its growing range of footwear, Off-White™ recently released a new take on its Industrial Logo Webbing dressed slides. This time around, the bright yellow webbing serves both a design and functional purpose, acting as a stretch strap that maintains a secure lockdown. Made in Italy, the comfortable footwear option features premium leather uppers, and contoured-rubber footbed soles that are decorated with purposefully misplaced “left” and “right” labels. Priced at $250 USD, the Off-White™ Printed Leather Slides are available now at MR PORTER. In case you missed it, Off-White™ delivers adventurous washes for its Resort 2019 denim campaign. A sequel to the adidas Originals Blauvet leather boot. Featuring 577HP and 516 lb-ft of torque. From Icebox Diamonds & Watches.